Well hello, I'm a tall slim very passable girl hoping to find a guy to get to know an possibly date. 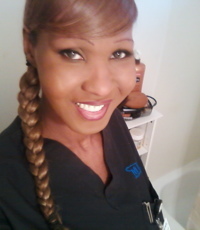 I'm Panamanian /black mix, very caring an a lovable person. I'm a military brat born in Panama, was there for 4 years. Love to travel an see new places. Anything you may want to know just message me. transexualhookups.com screener ikke medlemmer for kriminel baggrund. Klik HER for at lære hvordan du bruger denne og andre datingsites, sikkert.